The person who invented the new invention, usually a technical tool such as a tool or a mechanical, electronic, or software method is called an inventor. Although the inventor may be a scientist, but usually the inventor finds something based on various knowledge from other scientists, experimenting with the practical application and combination of such knowledge, as well as by developing and combining existing tools, to create useful new tools. A patent system is set up to encourage inventors, providing a monopoly in a limited time for a relatively new discovery. Lately it is seen that this system is often abused, especially in the US, and some people demand a revamp, or even the abolition of the patent system. In the US, patents come from the Constitution, so inventors will continue to protect their inventions in such a manner for a long time. Albert Einstein - Germany - the theory of relativity. Alexander Graham Bell - United States - Inventor of the Phone (Old Version), LPs. 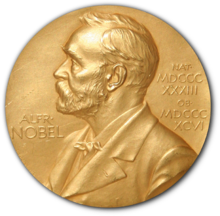 Alfred Nobel - Sweden - Inventor of Dynamite. Anthony Van Leuwenhook - Netherlands - Lens inventor. Artur Fischer - Germany - Inventor of Fischer dowel. Benjamin Franklin - United States - Inventor of Eyeglasses Lens. Christian Buschmann - Christian Buschmann finds Oral Organs. Cornelius van Drebbel - Netherlands - Inventor Submarine. Emil Berliner - Germany / America - invented the record disc recorder. Felix Hoffmann - Germany - inventor of Aspirin. Friedrich Karl von Drais - Germany - the inventor of Bicycles. Fritz Pfleumer - German - Audio tape tape / tape recorder. Gottlieb Daimler - Germany - invented cars and internal combustion engines. Hans von Ohain - Germany - Inventor of the Jet engine. Heinrich Gobel - Heinrich Gobel invented the light bulb. Heinrich Hertz - Heinrich Hertz invented the theory of electromagnetic and light electromagnetic waves. Hugo Junkers - Germany - Pioneer of manufacture of aircraft of metal materials as well as application of diesel motors for flight. Julius Lothar Meyer - Germany - creates a periodic table of chemical elements. Karls Drais - Germany - Inventors of Bicycles. Karlheinz Brandenburg - Karlheinz Brandenburg invented MP3 technology. Levi Strauss - Germany - find Jeans. Konrad Zuse - Konrad Zuse invents the greatest inventions of all time it is the Computers. Otto Hahn - Germany - discovered nuclear fission. Otto Lilienthal - Germany - creates a Glide flight. Peter Henlein - Peter Henlein invented the pocket watch. Philipp Reis - Germany - find the Phone. Robert Koch - Robert Koch devised a method to purify antacritic bacillus from blood samples and developed a pure culture. Samuel Hahnemann - Germany - find Homeopathy. Wilhelm Conrad Röntgen - Wilhelm Conrad Röntgen invented X-rays. 0 Response to "List of Famous Inventors in the World"